When someone shows photos of a horrible pile of parts and says "with great tires but the rest needs work" those had better be some nice new tires. 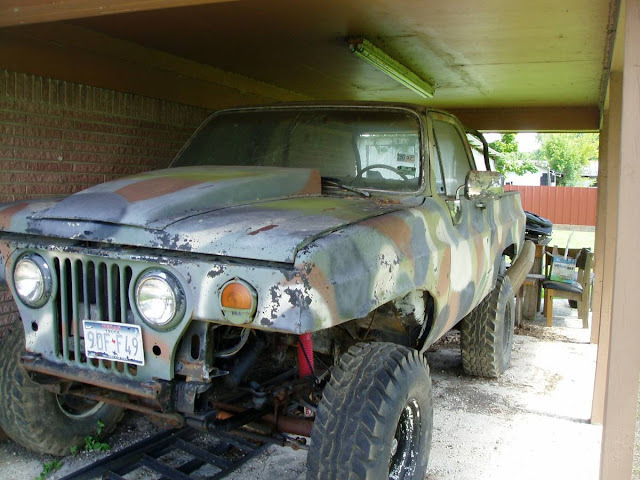 Looking at these tires, I'd hate to see what the seller considers bad tires, but just take a look for yourself. 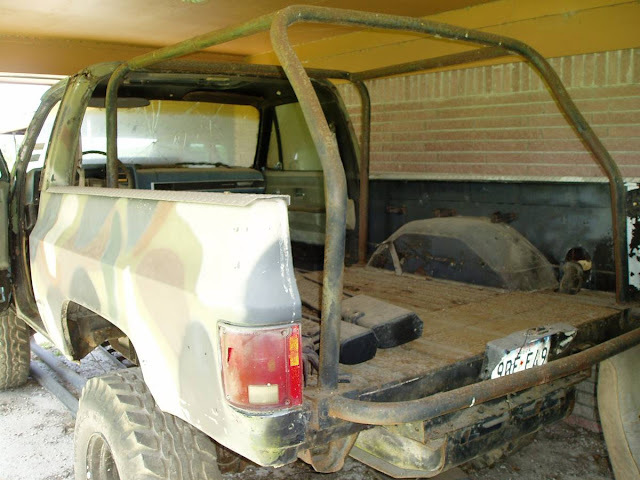 Find this 1984 Chevrolet Blazer offered for $800 in Highlands, TX via craigslist. Tip from Vance. In the almost limitless space allowed by Mr Craig to post information about your car, the seller fails to include a single mention of the most awesome part of this heap. The Jeep front grill/headlights! Why would you omit what is clearly the best part? A 'hold my beer and watch this' wagen. Alas, I have no use for something like that. I'd love to run around town blasting the geese that foul our parks, but I could do that from a bicycle, or an M5, around here. I'm told there's some Federal law (among those three felonies a day) about migratory waterfowl that'd have me occupying a cell for providing goose meat to local charities.